The PawSox and the City of Pawtucket will partner with Infielder Mike Miller and "More than a Game," to refurbish Fairlawn Little League's Deluca Field at Nathanael Greene Elementary next month. In addition to fixing up the baseball diamond, the club will present a free youth clinic on July 11, the day of Major League Baseball's All-Star Game. "More Than a Game" is an organization that constructs fields, donates equipment, and presents clinics in various communities. Miller has worked extensively with the organization during off-seasons in his home state of California. Led by Miller, PawSox players and More Than a Game staff members will fix up the field on Monday, July 10, then present a free youth baseball clinic at Deluca Field on Tuesday July 11 from 11 am-1 pm. Food and refreshments will be provided to participants in the clinic. "We are so grateful for our partnership with the Pawtucket Red Sox, an organization that places a high emphasis on service to their community," said Marshall Murray, CEO of More Than a Game. "We hope our combined resources will empower athletes to do more in Pawtucket and the surrounding region, and we look forward to an impactful collaboration." 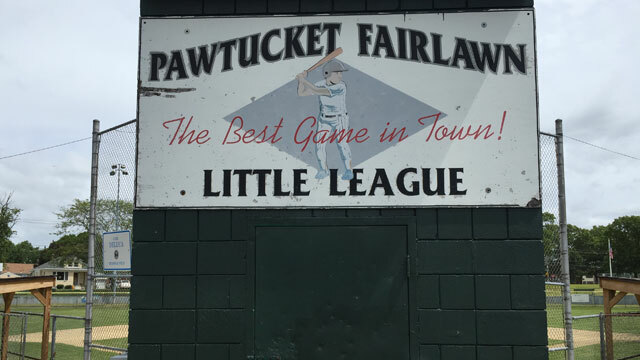 "We would like to see more children participate in Pawtucket's Fairlawn Little League," said Joe Bradlee, the PawSox' Director of Communications & Community Relations. "As Rhode Island's professional baseball team, we hope we can help ensure that this field is attractive, welcoming, and safe." "More Than a Game has given me a platform as a professional athlete to give my time and energy to communities that are underserved," Miller said. "To be able to work with both MTAG and the PawSox, two amazing organizations, gives me an opportunity to reach out to many kids who share my passion of baseball and develop key relationships within those communities." "Thank you to Mike Miller, More Than a Game, the PawSox, and the players for their donation and for volunteering their time," said Pawtucket Mayor Donald R. Grebien. "The clinic is a great opportunity for our kids to learn the great game of baseball from some of the best players in the league. We appreciate the PawSox for their commitment to the City and its youth organizations."